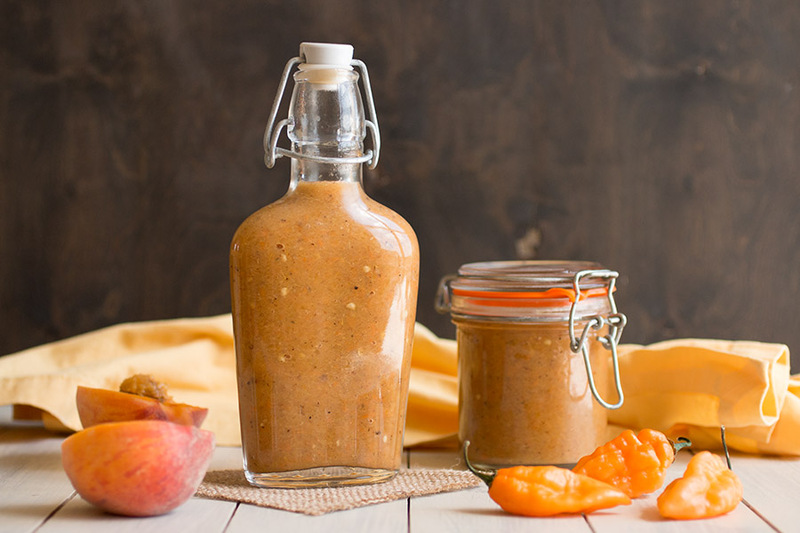 A homemade hot sauce recipe made with fiery chili peppers, fresh peaches and jerk seasonings for a bit of island flare in a bottle. Perfect for chicken or shrimp. We’re making plenty of hot sauce in the Madness kitchen lately. The garden is producing like CRAZY and I’m also preserving in many different ways. 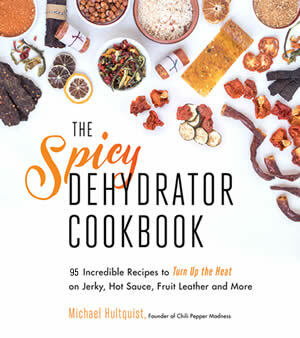 I dehydrated a huge batch of superhots this weekend and ground them into a powder for use with rubs and seasoning blends. I pickled a batch as well, which will keep in the fridge so I can toss a few pickled pepper slices onto my sandwiches for lunch. I love having so many chili peppers around! 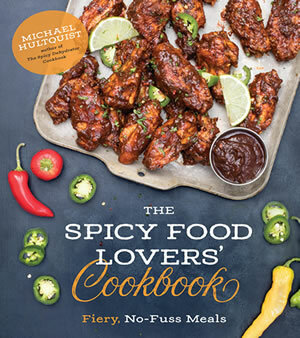 Hot sauces are another great way to use up a number of your peppers so you can still enjoy them throughout the year. This particular sauce was inspired by a chili pepper I hadn’t tried before. It is called the “Carbanero”. I had heard of it in some of the online forums I frequent, though never actually tasted it. 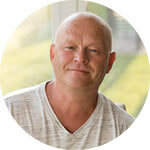 I contacted Tony Sherwood, the man who created the cross, and asked him about the peppers. Color me intrigued! He said it wasn’t completely stable yet, but I expect it will be over the next several generations. I acquired a small batch of the peppers and knew I had to make a hot sauce with them immediately. I can see why these peppers are proving so popular. First off, they’re gorgeous. Look at how bright and colorful they are. They look like slightly elongated habaneros with the bumpy skin that more characteristic of the superhots, about the same size as a typical habanero pod. 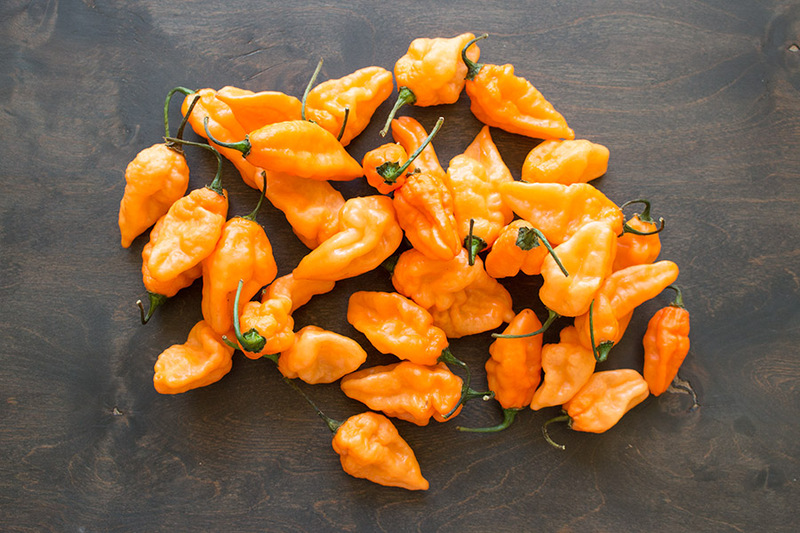 The flavor is definingly sweet and fruity with a pronounced heat that, to me, is closer to habanero heat than to the bhut jolokia. Considering the flavor and color, I decided to go the Caribbean route. 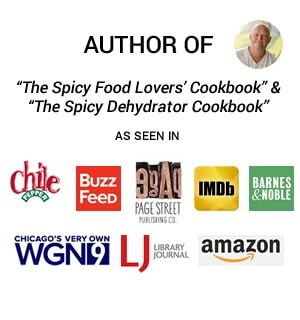 JERK HOT SAUCE! And peaches. These babies are perfect with peaches. Don’t they look pretty together? All these gorgeous ingredients. I mixed in some onion with the Carbanero peppers and peaches, along with apple cider vinegar, brown sugar and a jerk seasoning blend. You can use store bought seasonings, or make your own with this Homemade Jamaican Jerk Seasonings Recipe. 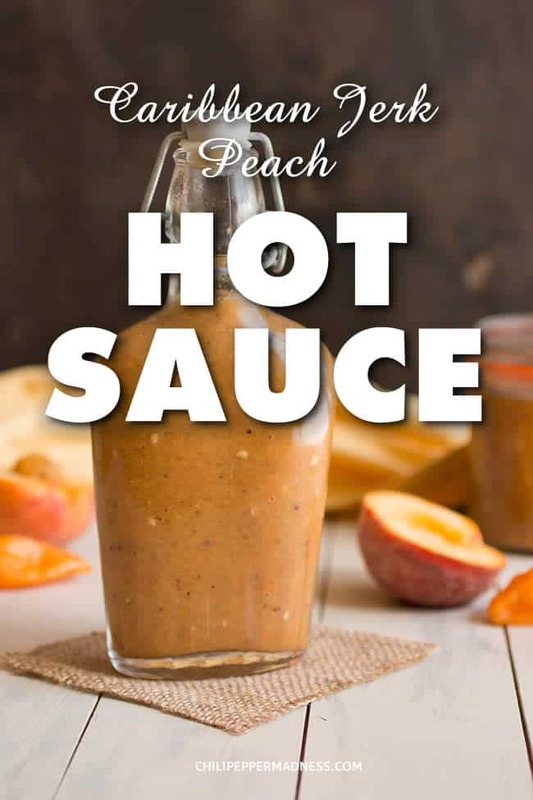 The resulting sauce is both sweet and savory, leaning toward a fruity-savory combination that is PERFECT for chicken or shrimp. We used some recently on shrimp tacos and YES! Flavor heaven. If you’re interested in growing your own Carbanero peppers, seeds are available online. I will post more about the Carbanero soon. I expect this pepper to grow in popularity. Super tasty! I hope to grow them myself in the future. 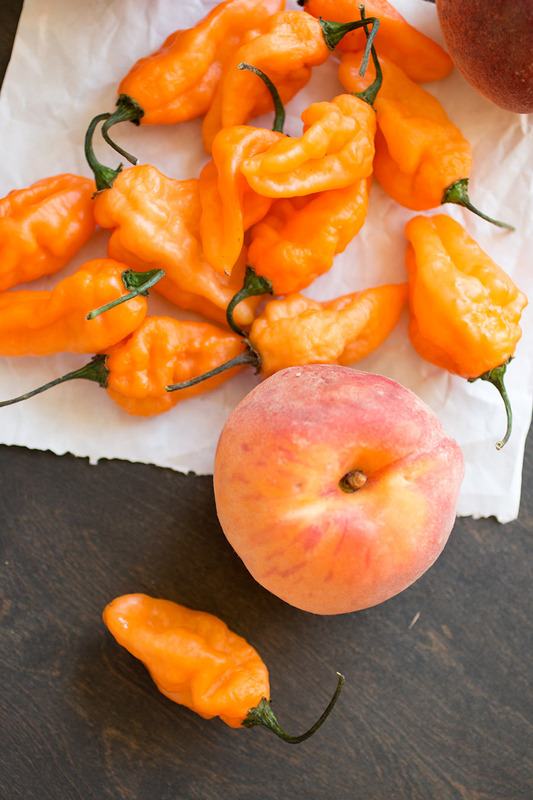 If you are unable to acquire Carbanero peppers, you can sub in Scotch Bonnets or habanero peppers. How long will this hot sauce keep? Where’d you get that hot sauce bottle? Heat a pot to medium heat. Add olive oil and heat through. Add peppers and onion and stir. Cook down about 6-7 minutes, until softened. Add peaches and cook another 2-3 minutes to soften. Add vinegar, water, jerk seasoning and brown sugar. Stir. Reduce heat and simmer about 10 minutes to allow flavors to develop. NOTE: You can strain your sauce a bit if you’d like for a thinner consistency. Do you throw the peppers in whole then? Christel, I usually do, though you can core them out first if you’d like. I just remove the stems and chop. 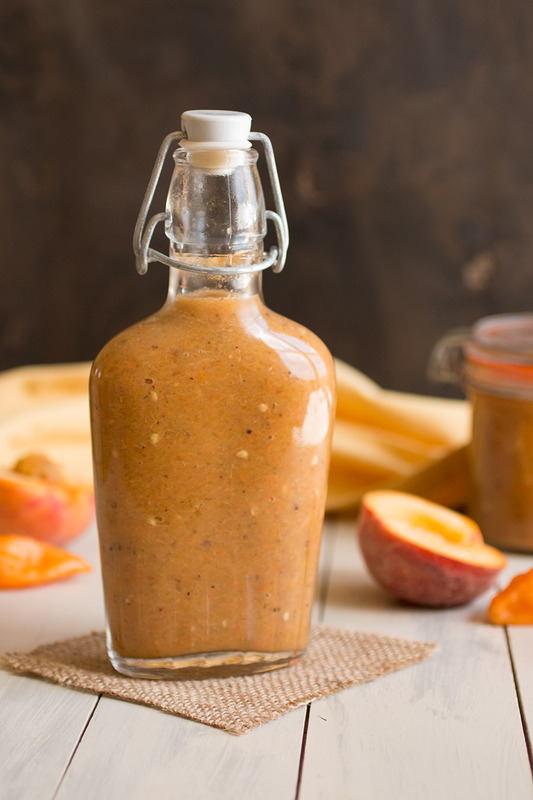 Can you leave the peach peel on if you purée first? Kim, yes, the peach peel is edible. I’m not sure how it will affect the consistency, though. You may get some floating peel pieces. Let me know how it turns out for you if you try it. REPLY: Wenda, I don’t seed mine, though you can if you want to. — Mike from Chili Pepper Madness. REPLY: Paul, should make about 2.5 cups or so. — Mike from Chili Pepper Madness. What is the shelf life of this sauce? I assume it has to be kept in the fridge since the bottles/jars aren’t heated to provide for a seal. REPLY: Cindy, they will last a while in the fridge. You can process them in a water bath to keep them longer, on the shelf, though you should check the final ph level to make sure it is low enough. — Mike from Chili Pepper Madness.